I have a new video up on my YouTube channel. Today I’m showing you how I refresh my curls when I don’t have a lot of time to style it from scratch. I’ve also added in a flat-twist detail for some extra cuteness. Go watch it and subscribe now! I hope you like it, and if you do make sure to leave me a comment and hit that ‘like’ button. Previous Post Why twist-out when you can wash and go? Great video! 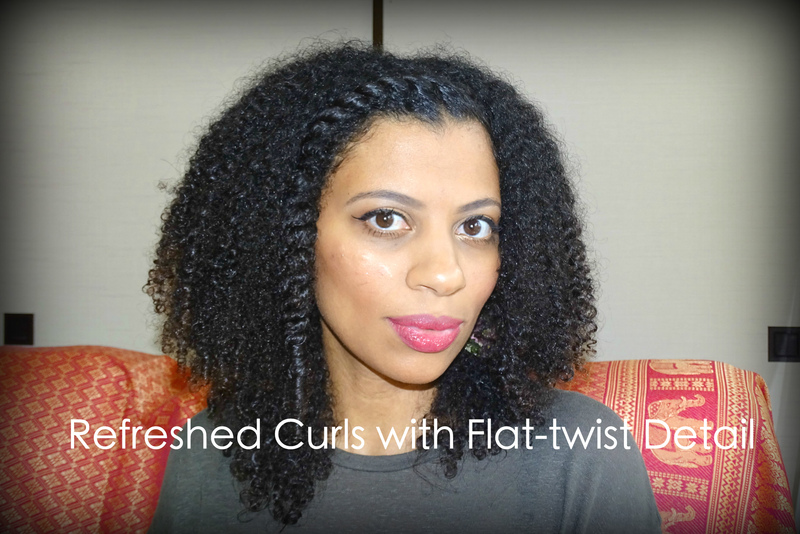 I love your curls, and that flat twist headband is quick + easy. Definitely a must try, thanks for sharing!